New Nissan LEAFs For $11,840 In Colorado! $11,510 In Texas! 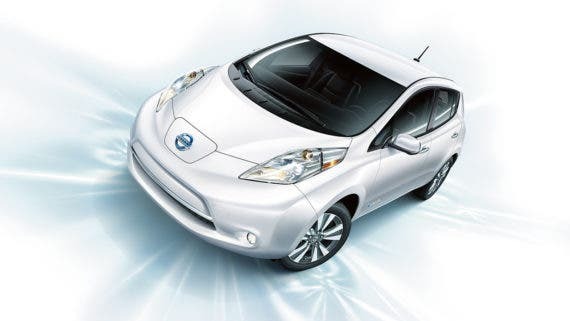 One week ago, thanks to a reader tip, I published about a tremendous group buy discount on Nissan LEAFs in Kansas and Missouri, which brought the price of a new Nissan LEAF as low as $11,510 after incentives (the $7,500 federal tax credit and a $10,000 group buy discount). Turns out, this isn’t the only such deal in the United States. Commenters noted that almost identical offers are on the table in Colorado and Texas. The discounts run through December 31 and January 3, respectively. Details, links, and some food for thought are below. People living in or willing to trek over to the Austin metro area of Texas can get what looks like the same deal, which offers a $10,000 group buy discount on top of the $7,500 US federal tax credit. This one is being organized by Smart Charge America and Nissan. In addition to the discount on the car, the partnership is offering, Austin Energy is offering a rebate of 50% of the cost of a home charging station + installation (up to a total discount of $1,500) and “Smart Charge Residential is offering an additional 15% off the cost of installation of a home charging station (up to $500).” All of that supplements a 30% federal tax credit on the cost of a home charging station, including installation, that goes as high as $1,000. In total, that means up to $20,500 in discounts, rebates, and tax credits. 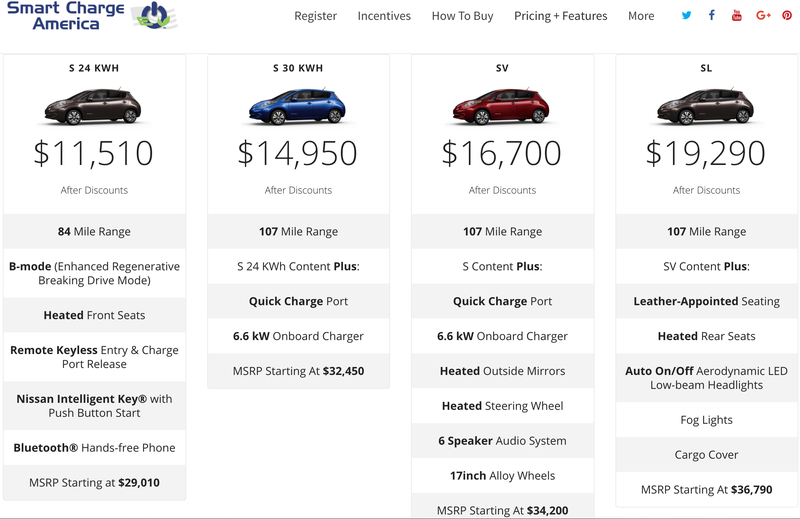 Add in the savings from not using gas, not needing oil changes, probably spending much less on maintenance, etc., and I doubt there’s a better deal on the market for a car purchase. *Note that the electricity price assumption includes practically no estimated free charging at work or in public, the gas price average is estimated to be just $2.50 over the course of ownership, and there are several other assumptions you can change here. As I noted at the top, Colorado has a nearly identical offer. For some reason, the Northern Colorado group buy deal has a slightly lower discount ($9,210 instead of $10,000), but there’s a Colorado EV state tax credit that can be as large as $5,160. This group buy is being organized by Drive Electric Northern Colorado (DENC), which is “a first-of-its-kind, community-wide initiative designed to achieve widespread deployment of plug-in electric vehicles (PEVs) in the Northern Colorado Region.” It organized the breakthrough $10,600 group buy for Black Friday 2016 that we wrote about last year. A complimentary Level 2 charging station worth $500. 24 months of complimentary charging through participating No Charge to Charge charging stations. Also included is Roadside Assistance for 3 years. More details can be found on the DENC Nissan LEAF group buy page. Well, yeah, the LEAF SV is about half the price in the first year, and you never look back after that. Other Nissan LEAF Group Buys? It seems Nissan has a strategy for moving Nissan LEAFs in the face of Chevy Bolt competition and pending Tesla Model 3 competition — lower the price! Given that there are 3 almost identical Nissan LEAF group buys going on right now in a variety of states, I assume there are others that just haven’t crossed our radar. Know of another one? Drop us a note in the comments. Don’t have one in your area? Organize one!